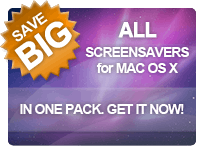 Mac OS X Screensavers - Frequently Asked Questions (FAQ). I purchased my screensaver but it still appears as unregistered trial version. I've received post-order email with full version downloading link inside. What should I do next? I've received post-order email with license info (name and code) inside. What should I do next? My full version downloading link doesn't work or has expired. I get "Saver can't be opened because it is from an unidentified developer" alert. I downloaded and installed full version using the link provided, but it still appears as unregistered trial version. I installed screensaver but can't locate its icon within screen savers' list. My System Prefs crashes or shows spinning ball while opening Screen Saver page. The "Other" section of savers' list is grayed out and I'm unable to locate installed screensaver. 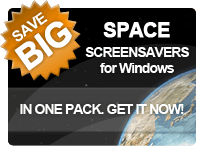 Please provide me with step-by-step guide on how to install and use screensaver. How do I delete some screensaver from my computer ? Please check your post-order emails for detailed registration instructions. Please download and install full version of your screensaver using the link provided in your post-order email. 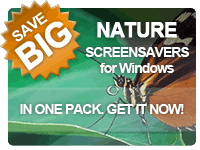 Make sure to close Desktop & Screen Saver window before installing, and agree to replace old files when asked. Please register your screensaver by entering your name and code. Just open saver's Options, click Register Now button and enter your name and code to get screensaver registered. Please contact us for new downloading link. OS X Mountain Lion and later forces you to use apps from App Store only. You can return usual pre-Mountain Lion behavior and avoid App Store limitation in a few clicks. Just select "Allow applications downloaded from anywhere" option within "System Preferences" -> "Security & Privacy" window. Now you can install any app you wish. Please delete trial version from your computer before installing full one. Just locate saver's icons in your "/Library/Screen Savers/" and "/users/<your user name>/Library/Screen Savers/" folders then move it to trash. Then install full version using the link from your post-order email. Locate saver's icons in your "/Library/Screen Savers/" and "/users/<your user name>/Library/Screen Savers/" folders then move it to trash. Install screensaver again, selecting "Install for all users of this computer" option when asked. Download and install the latest iLife Support update. Update your iPhoto library with the latest patch. Please refer to Apple Discussion Thread for additional info. Please unroll "Other" section of your savers' list by clicking on small gray triangle left from section name. Download screensaver on your computer. Install window will open. If you don't see install window after downloading, please double-click on downloaded .dmg file. 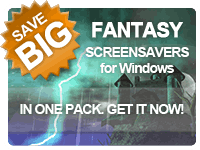 Install screensaver by double-clicking .saver icon within install window. Make sure to agree to replace old files if asked. Now your screensaver should be installed. To reach your screensaver from scratch, please click on Mac icon on upper left hand side of your desktop, click "System Preferences", open "Desktop & Screen Saver" icon, and choose "Screen Saver" section there. You will see your screensaver at the bottom of savers' list. Under Leopard, please unroll "Other" section of savers' list by clicking on small gray triangle left from section name. 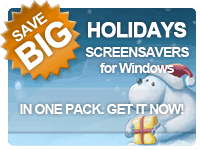 Select screensaver within savers' list to set it as default screensaver. Use "Options" button to view and adjust saver's options. Use "Test" button to preview screensaver in full screen. Right-click on screensaver name within screensavers' list and select "Move to Trash" row from popup menu. 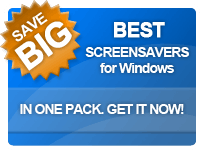 Select screensaver within savers' list, right-click on it, select first item from popup menu to open containing folder, then move corresponding saver's icon to trash.